I’m at such a wonderful place in my shaping journey, and it’s these Miracle top styles, that continuously inspire me to push the shape boundaries. My commitment is always, that all styles in Hayley Joy retail, and on the future Hayley Joy online store, must be able to be sized respectfully from a S – 7XL. 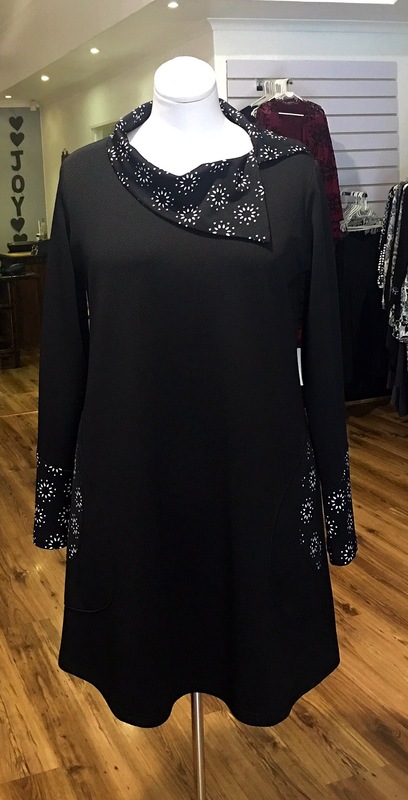 Black and White stars, Miracle shape top. I’m so excited to present these new Winter Miracle tops. The fit of this top is tooooo fabulous. It’s the perfect shape for all sizes, but my true inspiration is how it fits and flatters Plus sizes. I think it’s the heavier weight fabric that gives it such wonderful body. It’s got a distinct shape in the waist, and even with my extra kilos that I’m carrying, I still feel really, really good in it. 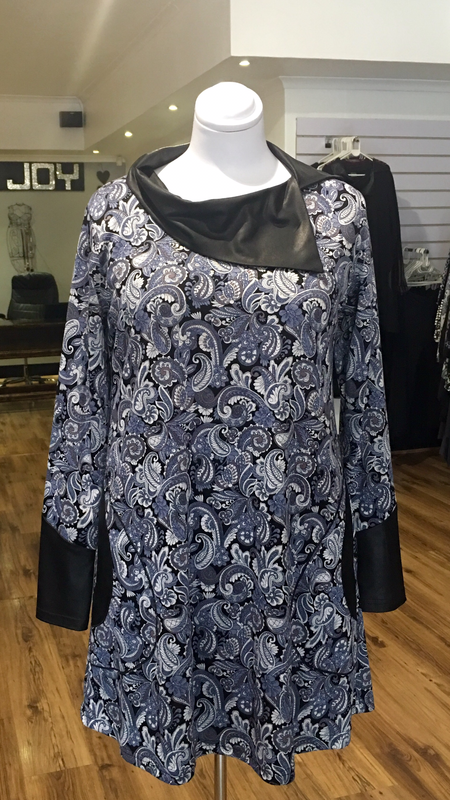 Denim Paisley Miracle shape top with leather detail. This extra kilo thing seems to be a a ‘trend’ 😂 and in discussions in the store about this very topic, we unanimously agreed, that my extra kilos are very important, because they keep me focused on designing flattering styles for your extra kilos.